A 25-year-old inmate has been charged with GBH after a prison officer had his throat slashed with a razor blade. Michael McKenna is accused of assaulting the member of staff at HMP Nottingham at around 10am on Sunday (14/4). The 23-year-old guard was rushed to hospital with serious injuries where he required 17 stitches to his neck. McKenna was charged with attempting to inflict grievous bodily harm and a racially aggravated public order offence. He will appear before Nottingham Magistrates’ Court this morning (Mon). Mark Fairhurst, Chair of the Professional Trades Union for Prison, Correctional and Secure Psychiatric Workers (POA), said the rookie guard was less than 12 months into the job. He said: “Hospital staff said he was lucky to be alive because it came very close to a main artery. “This officer is now recovering at home. We offer him full support. “I must praise the management at the prison for the support and the stance they have taken. “He is a new officer, still on probation, still within the first 12 months of service. Mr Fairhurst had earlier tweeted: “Update on serious assault at HMP Nottingham. “My thoughts are with our colleague. “This morning a colleague was attacked with a razor. Phil Novis, Governor of HMP Nottingham, wrote on Twitter: “Difficult day, colleague badly assaulted. “Not sure it could be legislated but will review. “Thoughts with him, family and the team dealing with the fall out. 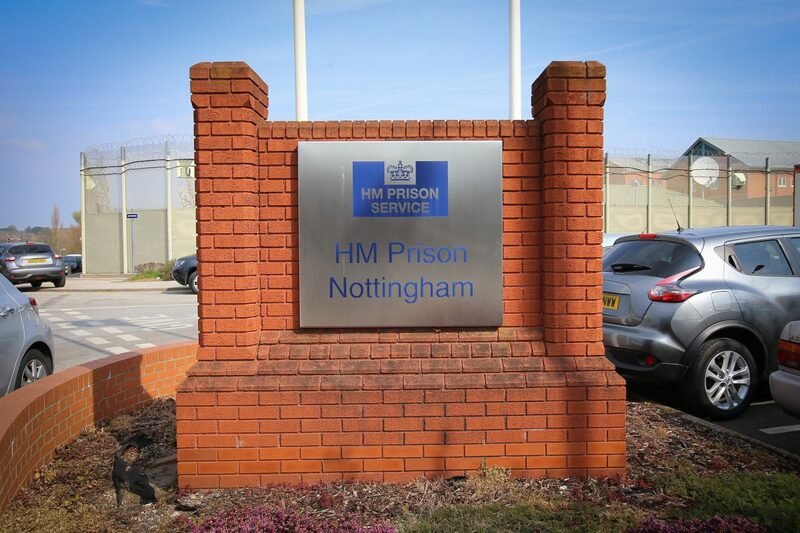 HMP Nottingham is a category B male prison which holds 1,060 prisoners. The jail was put into special measures in 2018 after a report warned the Government the facility was in a “dangerous state”.